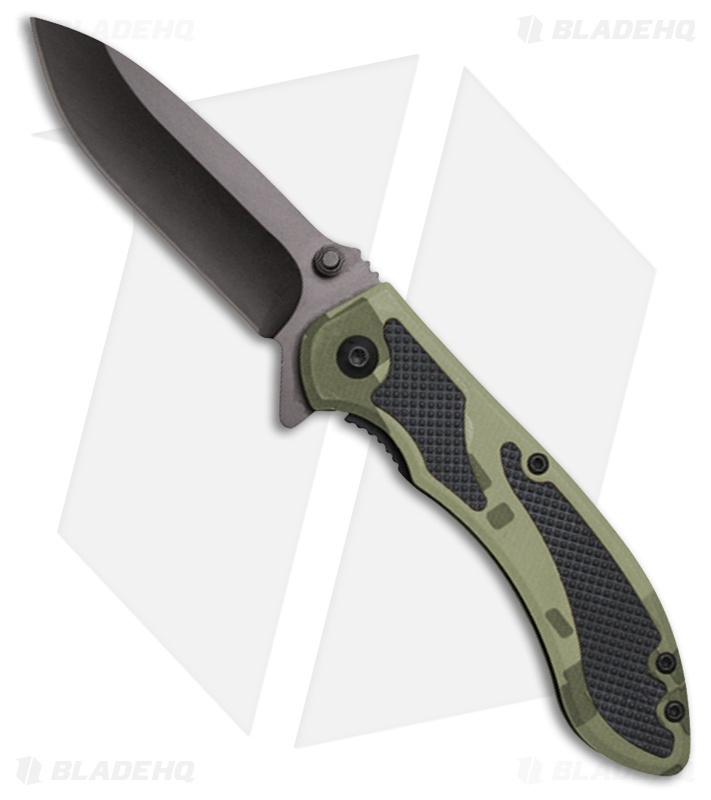 The ABKT 006 spring assisted knife sports a green digital camo aluminum handle with rubber inserts and black TiNi finished drop point blade. Deployed with either the integrated flipper tab or dual thumb studs and locked open with a reliable liner lock, the 006 is a pocket friendly addition to any collection. Green digital camo aluminum scales with rubber inserts for confidence in hand.